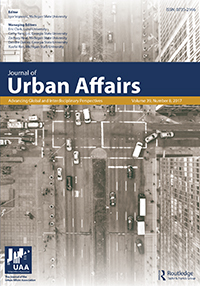 Published in the Journal of Urban Affairs. Despite the rise of comprehensive community initiatives, little research evaluates the specific type and extent of neighborhood investment generated by government spending. This study uses the case of housing revitalization in San Francisco’s Bayview Hunters Point neighborhood to determine the feasibility of analyzing public, private, and nonprofit investment flows related to the Choice Neighborhoods Initiative and HOPE SF. Through analyses of both secondary and primary data, this article finds that not only is identifying all of the different investments challenging but that multiple factors complicate analysis, including the timing of the business cycle, city budget cutbacks, market pressures from surrounding neighborhoods, and real estate speculation. Furthermore, neighborhood residents are perceiving little change—or at least few benefits for themselves—in the area. This suggests the need for different tools, such as value capture strategies and community benefits agreements, to better serve the needs of existing residents of low-income communities.